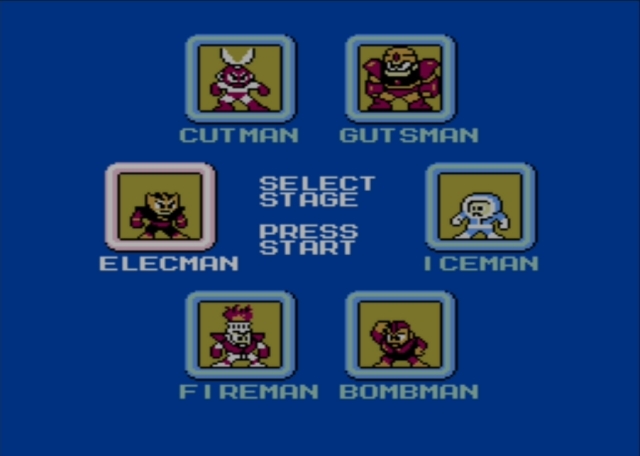 There are six robot masters, and you can face them in any order that suits you. However, some of them are especially capable of absorbing arm cannon shots without taking much damage. You're probably best off tackling the robot masters in the order indicated in this guide, at least until you're comfortable with the game. That way, you'll naturally have abilities that work to quickly eliminate otherwise difficult adversaries. On a subsequent trip through, though, make sure to try other orders and to experiment. That's part of the fun!